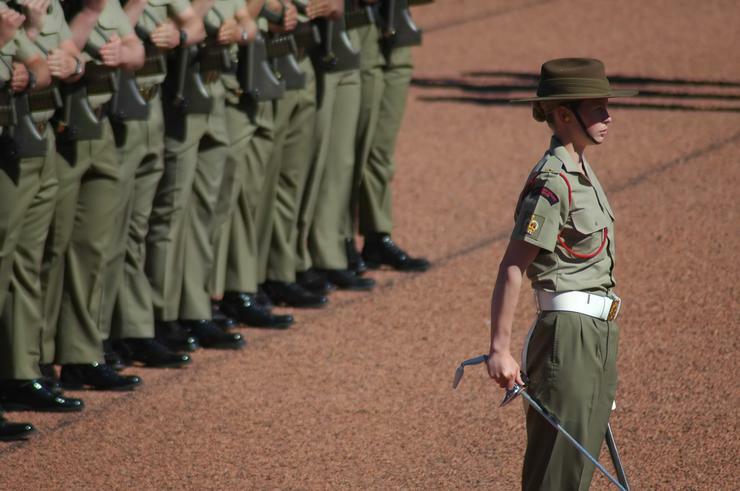 Australian Military Bank has implemented Finacle’s full banking solution stack in just ten months, in a bid to better serve its members and more readily link up with fintechs. The bank, Australia’s longest serving Defence financial institution with a membership made up chiefly by Defence personnel and their families, completed the switch to Finacle (a product subsidiary of Infosys) in February. Go-live of all of the bank’s core systems – including core banking, line origination, CMS, document management, regulatory reporting, payments and channels – came less than a year after the signing of the contract, a time-frame bank CEO John Ford calls “extraordinary”. “To do that in ten months…is a remarkable achievement,” he says. The bank, which has over 50,000 members and $1.3 billion of funds under its management, was seeking to transform into a “modern, nimble, new age digital bank” and provide a level of service “better than the global banks”. “Our demographic, we don’t exclusively service serving personnel, but they’re a significant part of our membership. They’re typically young, technologically-inclined people,” Ford says. The preferred channels of member interaction with the bank were changing, for example only one per cent of customer led interactions were happening at AMB’s 30 branches, situated at major Defence bases. “So it’s very important for us to have a state of the art digital solution and channels,” Ford adds. As well as being able to reap the benefits sooner, a speedy roll-out was necessary given AMB’s relatively small size, Ford explains. “AMB doesn’t have the scale to afford to have large teams pulled out of the business to support a multi-year IT project. The opportunity cost and the real cost of running a multi-year IT project is very high, with the potential for delays and scope creeps,” he says. The bank also wanted a cloud-based, SaaS model, and “a primary vendor that was responsible for the whole show”. The benefits of the switch have been significant. AMB has been able to roll out a slew of digital banking features such as budgeting tools and calculators, PIN change and card activation, real time alerts, international payments and NPP functionality. The bank is now able to onboard new members and open accounts within minutes, it says, while a new origination (the process of creating a home loan or mortgage) system has made approvals simpler and swifter. “It allows us to compete. We’re never going to have the IT budgets of the majors. It’s a pipe dream. So if we’re not large, we need to be small and agile. And by partnering with a large and capable IT company, we can compete. We’re not going to have those 100s of engineers and programmers coming off their graduate cycle – we’re not at that scale. But with SaaS we can access that,” Ford says. As a result of the customer-facing features, the bank has seen a 46 per cent increase in registrations to its internet banking and mobile channels, and a 116 per cent increase in mobile app registrations. “[Members are] seizing on that utility. If I’d have given my marketing manager a lot of time and a lot of money she would not have achieved that sort of growth rate in mobile usage,” Ford says. The Finacle stack was adopted mostly ‘out-of-the-box’ apart from one ‘Major’ customisation, Ford says. “There was only one core system change through the whole project. The one change was the salutation field length. In our client base if you work hard to become a lieutenant colonel, and you’ve worked most of your military career to achieve that you expect to be addressed in a certain way; wing commander or whatever it is. On day one in February, AMB offered up 16 APIs. APIs form a key part of the bank’s future, Ford hinted. “Open published APIs are very important to us, that allow us to integrate with best of breed providers. Day one we’ve gone out with 16 integrations. We don’t expect that we’ll end there, that will only increase over time. If you look forward, that ability to interface with the rest of the world is very important,” Ford says. They have allowed the bank to establish end to end integration with credit bureau, ATM providers and payments solution providers. “We now have a system where the fintech doesn’t roll their eyes and say we can’t integrate with that, show us your APIs,” Ford adds. According to the CEO now is an opportune time for smaller, mutual banks like AMB. No mutual were called before the Banking Royal Commission, the recent Hammond review means member-owned financial firms are likely to gain more ready access to capital, and their size makes them more nimble to tackle challenges like the Open Banking regime. “The technology platform the bank’s laid down puts us in a position where we can be confident about the future,” Ford adds.